During August I have been proudly appointed Ambassador for Blooms in a Box. To celebrate our partnership Blooms in a Box are offering my followers 25% off their August order. Blooms in a Box deliver fresh market flowers (and foliage) to your door. Flowers range from Carnations, Chrysanthemums, Lillies, premium Roses and standard Roses, Lisianthus, Snapdragons, Sunflowers and seasonal flowers. If foliage is more your style chose from Monstera, Cordyline, Baby's breath (Gypsophila), Silver Leaf Gum, Magnolia and Eucalyptus. Browse here and order online by 2pm for free next business day delivery throughout Brisbane, with the Sunshine Coast and Gold Coast coming soon. If you are in a rush? 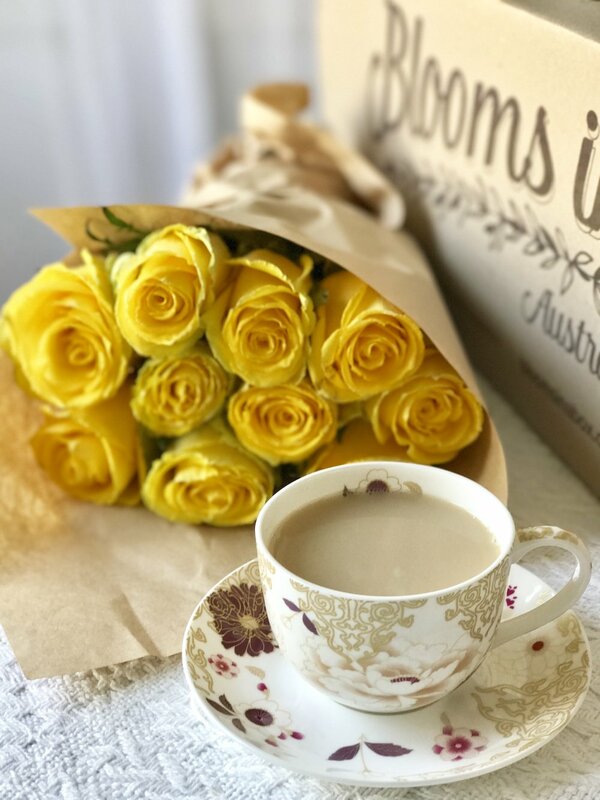 Blooms in a Box can deliver same day for $12.95 to most Brisbane suburbs for orders received by 10am. You can read more about my own Blooms in Box experience here. Order now, before August ends, and take advantage of my 25% discount code when you use the code word LADYBRISBANE25.